6:50 - [On working at the Manhattan District Attorney’s Office in New York] There is some emotional burnout when the work that you do involves slave traders. That can be challenging for a lot of folks. But overall, the ability to know that the work you’ve done has made someone’s life better - there’s nothing like that in the world. It’s better than any other possible thing you could do. 10:07 - The General Problem is that we don’t want people enslaved. Fairly simple. People are not property. People are people. At a high level, that’s the goal. To have no one in the world treated as property. This [slavery] problem is fundamentally an economics problem. [On parents enslaving their kids or family members to beg] If you lift people out of poverty, then that doesn’t happen anymore. That’s a path forward to removing that form of slavery. Because that’s not motivated by malice or cruel intent. It’s motivated by simply not having means to do anything else. And this extreme desperation. 13:30 - There are some things we can do within traditional economic stimulus-style things for developing countries that will alleviate a great deal of the problem space. So I originally tried to work on that. The problem there is that economists aren’t particular interested in this. I don’t think they’re disinterested, I want to be clear. I think that their research dollars come from very specific sources and it’s hard to find research dollars for this. 14:29 - In international development, there’s plenty of money and everyone’s interested in this. But you can’t do this only from an aid perspective. You have to stimulate economies. There have to be network effects. Aid can help and lift specific people out of poverty. But we’ve seen that aid can be detrimental. There’s well documented evidence on this. If you give people aid, they become dependent on aid. And if the aid dries up… and the aid goes away, the cycle of dependence basically leaves these people worse off than they were originally. 15:23 - I was lucky enough while I was in the federal government to see how truly well intentioned so many federal employees really are. And I had the specific pleasure of interacting with someone from USAID. They were working on a project in West Africa. What they did was - it’s mind boggling how simply and brilliant and effective this was - was give folks really old cell phones and really old laptops with Excel. They were able to use this to coordinate crop outputs. And look at the weather. They leveraged basic technology and they were able to get crop outputs up like crazy. And they brought these subsistence farmers up substantially. These people didn’t need our help the next year. If you give people standard tools and you are well intentioned, you can actually make a lot more change. Especially for third world or disadvantaged groups. 22:34 - I really recommend checking out the Polaris Project on Global Modern Slavery. Research Question #2: I’m very interested in the discovering the probability that someone is being trafficked. How likely is a specific neighborhood to be an area for trafficking? 1:09:30 - Specialization is how I determine what problems to solve. I will usually work on issues that have technical solutions. 1:13:07 - I think understanding how automating works is a great skill, not least because it makes you highly employable. People need to make a living. 4:27 - (On leaving ‘ad tech’) Most software engineering jobs pay really well, of course, but - and this is probably the case with most jobs, period - you have to reconcile your personal beliefs with the primary goals of a money making enterprise. Everybody has to go through that. Ad tech in particular, especially in san francisco, is focused on growth, and focused on numbers. It’s hyper focused on money, especially with regards to increasing conversions and eyeballs for the customers of the ad tech company. Which is a fine goal, but not my personal reason for getting up every morning. So it was hard for me to get excited for it. I was excited about my paychecks at first, but eventually you get numb to that. 6:18 - In the search for something different and more meaningful, we decided to focus on education (which led to LaunchSchool). My partner, Kevin, works on this with me, and I’ve known him since 2002. Early in our careers we were both computer engineers at IBM in Austin, Texas. Early on, we read a book called Good to Great by Jim Collins and he talks about getting the right people on the bus. 9:18 - This is one of the things that makes us unique (in teaching coding skills), is our approach to Mastery Based Learning. It’s about making sure that people know what they’re doing each step of the way, and taking indefinite time on each step. Ours is a curriculum where you have to demonstrate you understand each topic every step of the way. And we don’t know how long that will take. And we’re a 100% Mastery based program. We evolved over the past 3 to 5 years to that system because we were unhappy with the results we were seeing. I think we are the only place where Mastery Based Learning is taught. 13:13 - We started this to try to figure out education. It was not a money making endeavor. So to us, teaching became the engineering problem to solve. I was not a proponent of Mastery Based Learning before LaunchSchool. Mastery Based Learning or Competency Based Learning is not unique to LaunchSchool, it’s a well known pedagogy in academic papers. But it’s really hard to implement. 15:39 - Complexity grows exponentially if not handled linearly. You have to handle one concept at a time, otherwise the complexity grows out of control. 16:49 - So, everyone wants to talk about algorithms. Well, there’s no point in talking about algorithms and solving complex algorithmic problems if you can’t handle loops. And lots of people can’t handle loops. Or nested loops. There’s no point. So to cover an advanced topic is pointless. 22:24 - I see a lot of people go from Explore - and bypass the Fundamentals - and head straight into Advanced. And then they realize there are so many knowledge gaps they have to plug in, and they spend years fixing that. 25:21 - We chose a pedagogy, and then built a pricing model around that. 27:30 - The value that students get from their education has such a lag from when they pay. There’s a tremendous lag. Think about Uber. You pay for an Uber ride, and you derive the value immediately. I view education almost like a restaurant that serves healthy food, and the restaurant says something like, ‘If you have eat here for 5 years, you’ll live an extra 10 years.’ It doesn’t taste great. Coding bootcamps can make a big promise - ‘in a few months, you can get a job.’ And they have been getting away with that because the job market is so good. It’s so good - and there’s such high demand for software programmers - that they can take people who are just in that ‘Explore’ phase (of learning) and pay them. And that’s why bootcamps are very successful. If you think about long-term though, it’s dangerous. Because you have a lot of people who are underskilled. 2 months, 3 months, that’s just not enough time to develop context or nuance for some of these problems. So if there’s a downturn, people are not going to be able to get these jobs. So it’s very dangerous. 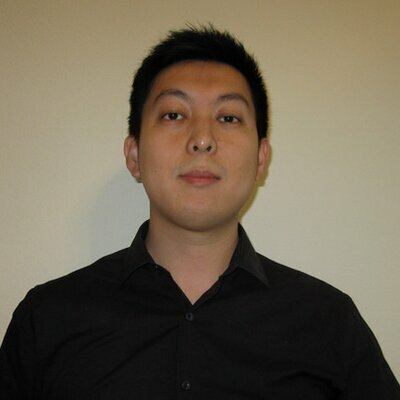 I think coding bootcamps are a marketing success. It’s market forces that allow this to happen, and it’s the marketing - it appeals to people's’ desires for fast results. Lasting education needs to last decades, a career. So that’s the hard part of education. 32:14 - You don’t just want a job doing programming. Because most programming jobs, as I alluded to earlier with ad tech, are not very good, are not very satisfying. What you want to do is develop enough mastery so you can dictate some of your own terms on your own career. In order to do that though, you need to get pretty good. And that’s what we’re trying to do here. Fail State Movie - Documentary on for profit higher education. 38:21 - You’re starting to see companies not demand a college degree anymore. Google doesn’t demand that. Deloitte said recently they won’t demand a college degree. And it’s because the college degree has begun to lose any meaning as far as quality. And part of the reason for that is because schools need to retain all the students, otherwise they can’t make money, so for that reason, they’re letting everyone through. It’s a compound effect here. It means more than ever that a Mastery Based system is required. Learning institutions have to hold the bar, and educate students on why that is. I spend most of my time talking about Mastery Based Learning for this reason. 47:50 - (On international students in some countries) - It’s pretty easy in the United States to say, if you want to work at Google, you need to learn this (x). That’s a fairly straightforward statement to make. And you can decide, that’s too hard or I don’t want to do that. But when you don’t have that context, it’s really difficult to convince people to learn things deeply unless they have this natural intellectual curiosity. 53:10 - Everyone needs to learn to code just from the perspective of awareness. Does everyone need to become a software engineer? That I don’t know, it’s more of a career choice. But programming concepts will touch more and more things. More and more jobs will require how data flows and how systems connect. 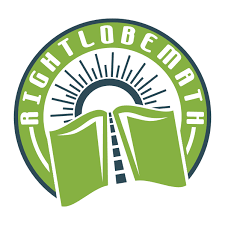 8:40 - RightLobe Math - The website is a platform that delivers a program that helps any child master arithmetic. When I say master arithmetic, I really mean master. Through our personal experience, we have felt that elementary schools were not delivering the quality of math education that we felt our kids should have. So we thought that there was a gap there. So as an engineer, whenever you have a problem, you look to see if anyone has created a solution. And if you look to Asia, this is a method for teaching basic numeracy, number sense, and all of arithmetic in a visual way. I think that’s really the modernization of the use of the abacus for math instruction. It teaches kids to process numbers in a mechanical way that is very visual. 12:30 - For example, when you walk into any public school here in the United States, you will never see any instruction to do arithmetic calculations using complements. But this is how your computer does all of its calculations. When we instruct using the abacus, all of their subtraction and addition processes are routed through base 10. So when you understand and can manipulate numbers using complements, you better understand how our base 10 system works. It teaches you place value right from the beginning. This device and this method is very method in how we are applying it because it gives kids such a deeper understanding of our numbering system. 14:45 - In a lot cases, we see kids understanding the concepts but still not coming up with the right solutions because their basic number sense is missing. So we concentrate on that. 15:35 - You’ll hear a lot of educators talk about kids having or developing the grit to work through a problem to its final solution. We have found - and developed into our program - a systematic way to help kids develop their mental endurance. They can concentrate for longer periods of time. They can focus more intently. These kinds of skills, you can call them soft skills, are very important to be successful. 22:35 - A lot of parents don’t understand where their kids are mathematically. This is a big problem. 24:20 - My daughter entered kindergarten multiplying and dividing double digit numbers using this system. The school’s requirement entering kindergarten was simply to recite the numbers 1 to 30. My kids aren’t some gifted math geniuses. It’s a matter of the efficiency of the learning process. For third party evidence that this approach works - if we look at the highschool level. The PISA scores, the international testing that 72 countries participate in, the United States is 39th in math out of the 72 countries. The top 10 are all Asian countries. In all these countries, the soroban has been a significant instrument in math instruction. Some will argue that it’s not really used in the public schools, but you’ll see significant use in all the private sector all across Asia. So whether public or private, it’s still happening. 26:28 - When you begin to look at the early research - there was a research project done by professors at the Department of Education, led by a guy named Duncan. And he was looking at what affects future learning outcomes more than anything else? The study showed overwhelmingly that if we focused on math early on, that it would produce better future academic outcomes by a factor of 2. Math, even more than reading or attention skills, or other areas that we typically look at in the early years - focusing on math in kindergarten will produce better readers down the road than focusing on reading will. It has a lot to do with how we’ve evolved as humans. We’ve only been reading for a couple of centuries. But we’ve been developing logic and reasoning and problem solving for a millenia. So our brains are well developed for mathematics that uses all these areas of the brain. Reading is something that we have to learn. 41:04 - One of the things we did early on [while developing the program] is we began asking questions. When a teacher gives students a math test, she goes online or pulls it out of a book somewhere. And because she doesn’t want kids to cheat, she gives students a different version of the test. And I always wondered - is that really fair? Does she know that each one of those tests is equivalently difficult? I started to poke around, and saw that no one was creating tests with that in mind. So we wrote some software to really analyze all of the different number combinations, and we were shocked. There was a tremendous variation in difficulty level. If you just looked at the two tests, you’d say they look exactly the same. But when you peel back the onion, software analysis had shown us that there was a tremendous variation in difficulty. One of the things that we’ve done with our content - not only is it generated dynamically, that gives us a lots of variation, but we are able to analyze what we generate, but we can put constraints on it, so that we can guarantee that every quiz we give at any given level will be exactly the same in difficulty level as any other quiz that we put in front of a kid. 43:22 - Kids love to compete. 43:45 - To those looking to build their own learning platform - be ready to throw away everything you’ve done. You have to go where the kids go, and not be married to your ideas. And that’s been a winning solution for us. Constantly paying attention to our users, and they always showed us the way. 44:36 - The guiding principle for us has been twofold - 1) We want our students to enjoy the process of learning. We want it to be self-empowering. We want them to go through this process and see their academic endeavor as something that enables their future and opens up doorways. But it’s also about 2) efficiency and the efficiency of learning. Just like adults, kids don’t like to waste their time. So everything we do is all about helping kids getting to their goals as quickly as possible. Many academic websites, they say we ‘gamify’ learning. So they put learning in a videogame context. We have taken a different approach. We use the mechanics of gaming that motivates kids, but instead of useless payoffs of digital artifacts you can’t do anything with, we decided to open up other academic areas that might be of interest. So now when kids train on our site, kids earn digital money and can buy kanji characters for example. 48:41 - [On ‘fashionable’ STEM learning efforts] Just go ahead and look at the statistics that the labor department is putting out. They do 10 year projections on what the job market will look like for our kids post graduation. I think the last report is predicting by 2025 that more than half of all new jobs will require math and computer skills. And they expect that trend to accelerate. So mathematics is becoming more and more important. 50:34 - Our current system is allowing kids to pass through with significant gaps in their math understanding. So what happens is once they go to middle school and on to high school, the research shows that those gaps never get remediated. 51:44 - When you really boil it down, it’s the simple stuff [early education arithmetic education] that will have the biggest future impact. The softer skills - endurance, concentration, grit, to push through and not give up - if we can build those qualities into our kids in elementary school, I think we have a bright future. If we don’t, the rest of the world is advancing. And they’re competing for the best jobs and getting their kids into the best universities. I think we need to step up our game. 55:25 [On Adult Learning] There are a lot of adults who want to advance their mental calculation skills. Having mental calculation skills is just useful in general life. As we get older, being able to use our mental faculties - it’s proven that that’s a worthwhile endeavor. Look at recommendations that come out of Alzheimer’s associations and studies on dementia - they constantly talk about older people and the need for them to continue learning new things.